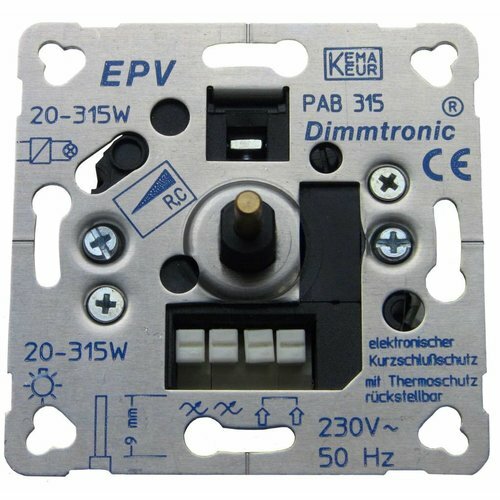 DIMMTRONIC wall box dimmers are reknown for their reliability and installation quality and are suitable for a wide range of applications. Due to their clean dimming signal quality they are also popular for dimmable LED applications. Alle models have a 4mm axle. With an axle adapter (scope of delivery) all of the dimmers can also be used in 6mm design programs (e.g. Busch Jaeger). Installation wise, the default version is with expanding tightening clamps which then hold the dimmer in the wall box tightly. As cover plates all popular design programs fit. 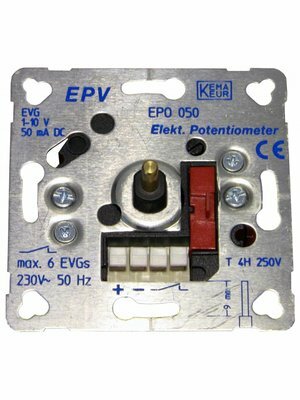 PAB range = Suitable for resistive and capacitive loads such as incandescent lamps, high-voltage halogen, electronic low-voltage Transformers and electronic dimming ballasts that are suitable for primary dimming. PAN range = Suitable for resistive and inductive loads, so in addition to the above you can also dimm low voltage halogen on conventional transformers.